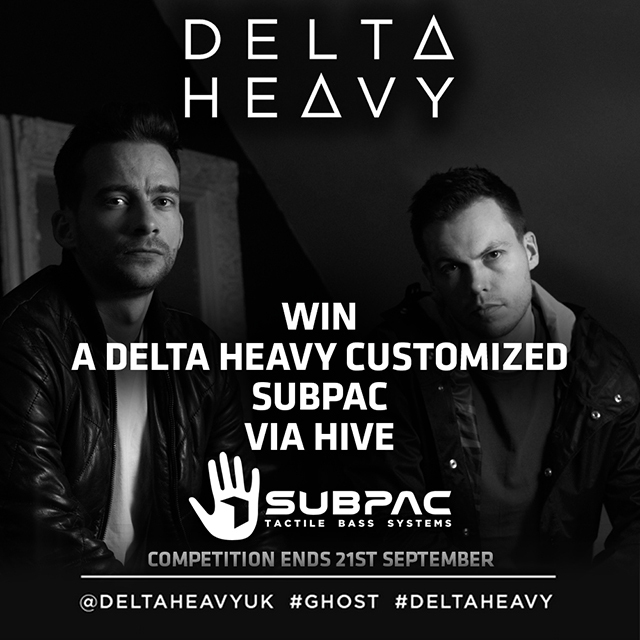 Dubspot and RAM Records are teaming up to give away an exclusive Delta Heavy SubPac to celebrate the release of ’Ghost / Tremors’ from one of UK’s most exciting Drum & Bass duos, Delta Heavy. If you’re a producer looking for a more detailed insight into engineering your music or you just enjoy feeling that bass in a heightened listening experience, then this giveaway is for you! Enter for chance to win an exclusive Delta Heavy customized SubPac via Hive here. The giveaway ends September 21st! Immerse yourself in the world of Delta Heavy by checking out one of their best visual masterpieces to date. ‘Ghost’ epitomizes the standards set by Eton’s biggest bass outlet. Slowly building vocals relay against a colossal break, which ebbs and then cascades into peddled drum beats and elevating synth patterns. With vocal crescendos then dipping you into half-time, it’s impossible not to see this record exploding the stage at any festival across the globe. SubPac is a patent-pending tactile audio technology that transfers low frequencies directly to your body and provides you with a new physical dimension to the music experience. Learn more about the SubPac in our Dubspot Technology Spotlight: SubPac Tactile Bass System. « Dubspot Radio Podcast: Devon James + Exclusive Mix and Interview!